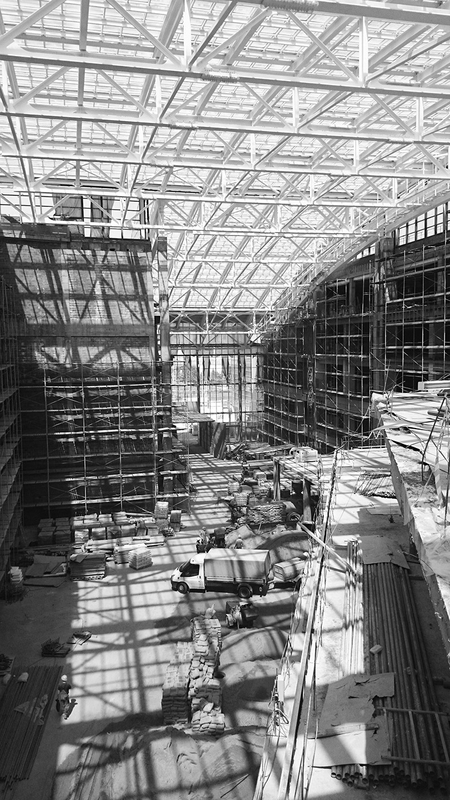 The Interior for the five-story shopping mall, where the main element was an atrium with an enormous skylight above the entrance zone. 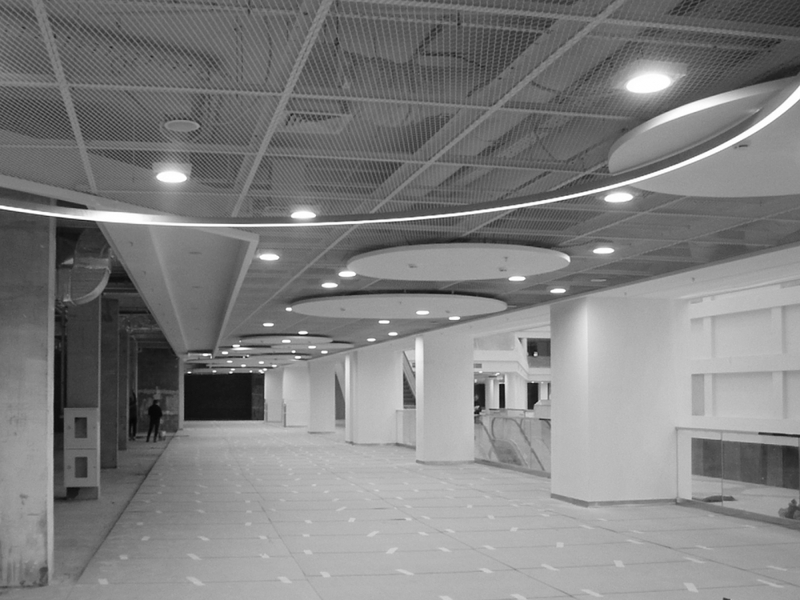 The name "MARI" for the mall was chosen by the Client. We followed along with the idea and look at the building as at MARIa – a girl, a lady and a woman - all in one. 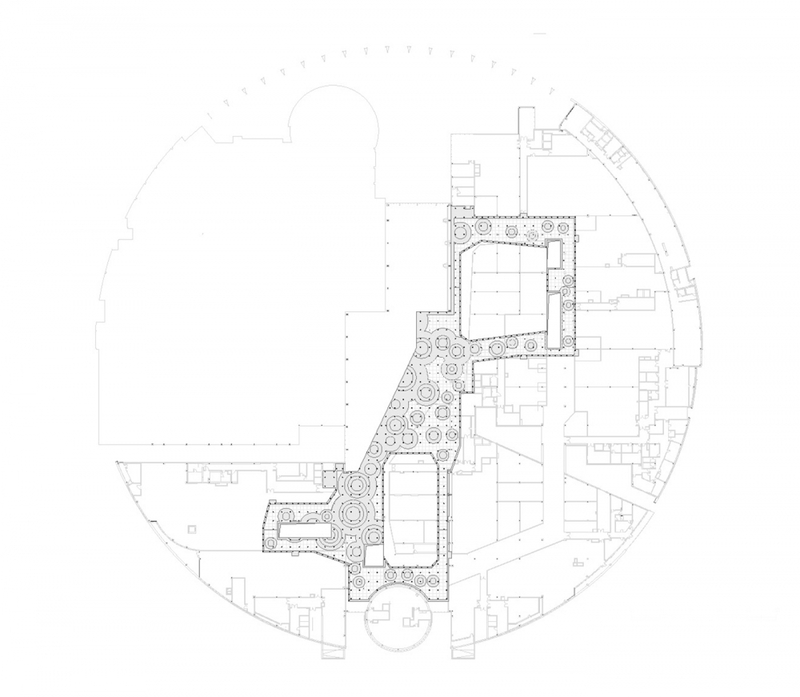 "The circle plan became the ornament of the interior design." 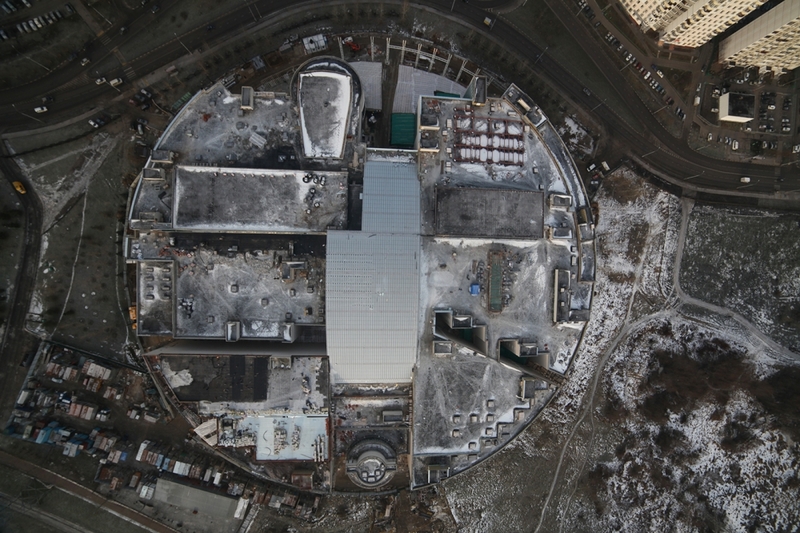 This one — the "MARI" Shopping and Entertainment Complex looks to have been a non-standard project. Can you tell me a bit more about it? Ah yes. Definitely. 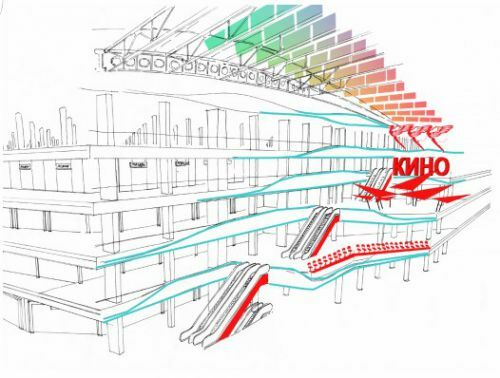 We were asked to design an interior for the five-story shopping mall, where the main element was an atrium with an enormous skylight above the entrance zone. Seems more or less standard so far! Sure, but the unusual aspect was the name for the mall — "MARI," which was chosen by the client. Perhaps the choice of name was just incidental, and yes, connected to the fact that the site was in the suburb of Marino, but we decided to play along with the idea. 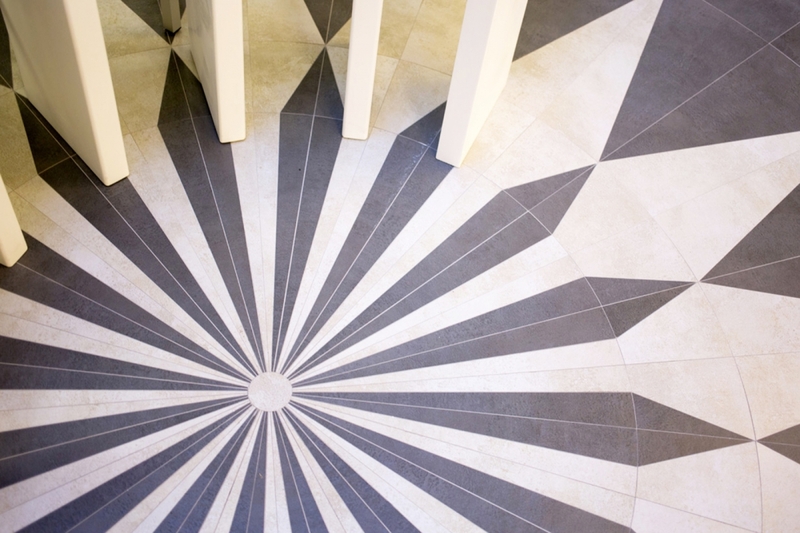 We decided to view the building as MARIa – a girl, a lady and a woman - all in one. Well ships are always female, so why not buildings?! Indeed — why not? The more we thought about it the more it made sense, bearing in mind that Mari could actually have many faces: a mom, an athletic girl, a business woman, and a fun-loving little girl. We decided to dedicate each floor to a different Mari and her varied "moods" or "personas," ranging from the laid back and comfy, to energetic and vibrant. And how did you achieve this? 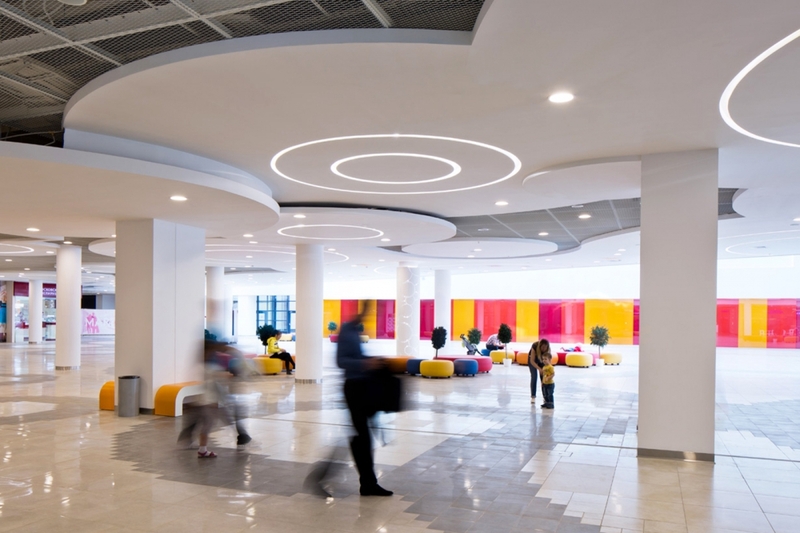 Well we created different atmospheres by designing each floor with different floor surfaces, suspended ceilings, columns, furniture, and lighting systems. 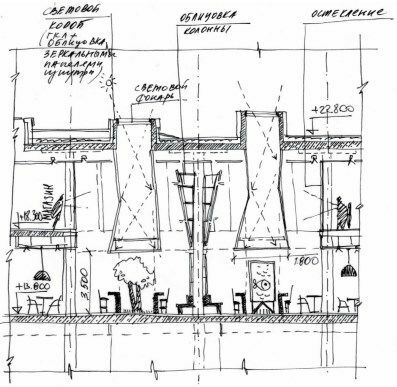 A question on a slightly different topic: do you think it's actually possible to create thoughtful architecture for what is essentially a commercial space? Well.... while this type of project — and indeed many of our commercial projects — are not imbued with deep philosophical intent, I believe that's it's possible to create thoughtful, mindful architecture in any circumstances. 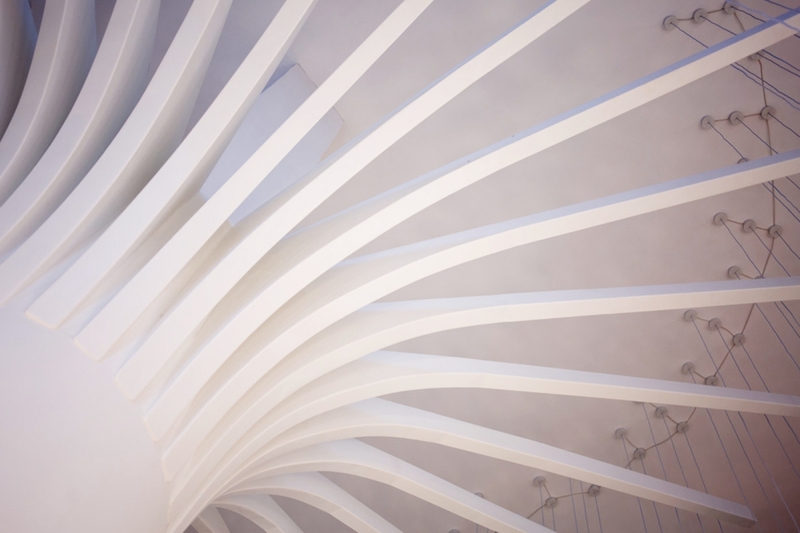 If architecture’s original concept can go deeper, it adds meaning to the place it is constructed in. 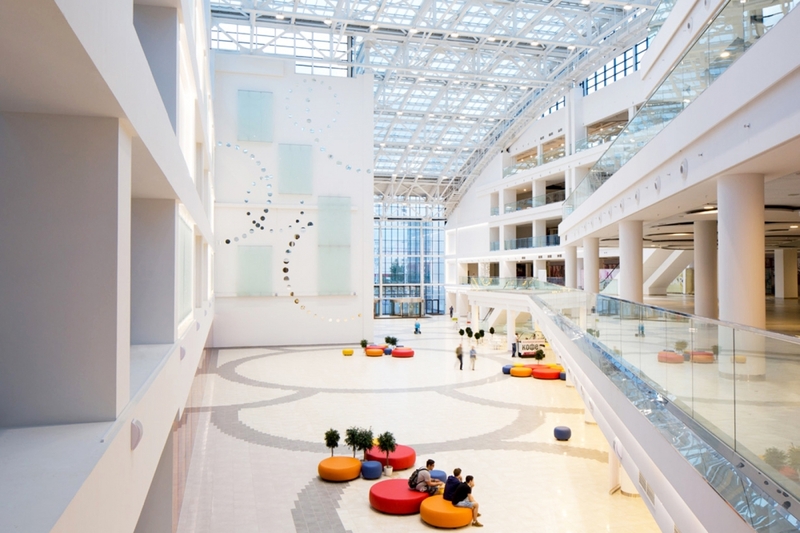 While the average visitor remains blissfully unaware of the architect's intent, it is nevertheless our aim to approach every project — as much as possible — with mindfulness about the use of the space, and where possible — as is the case with this project — to inject some wit and humor into the design process. 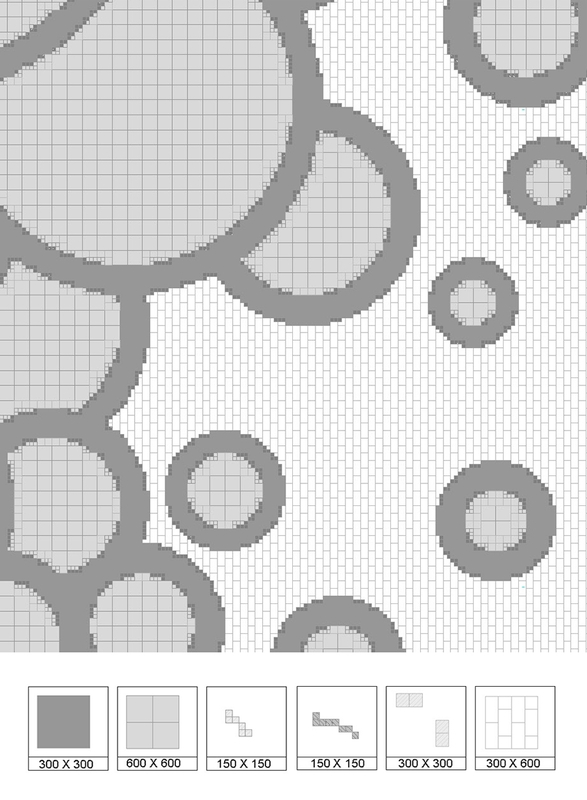 Ok, back to the more practical questions: tell me about the circular shape of the whole complex. 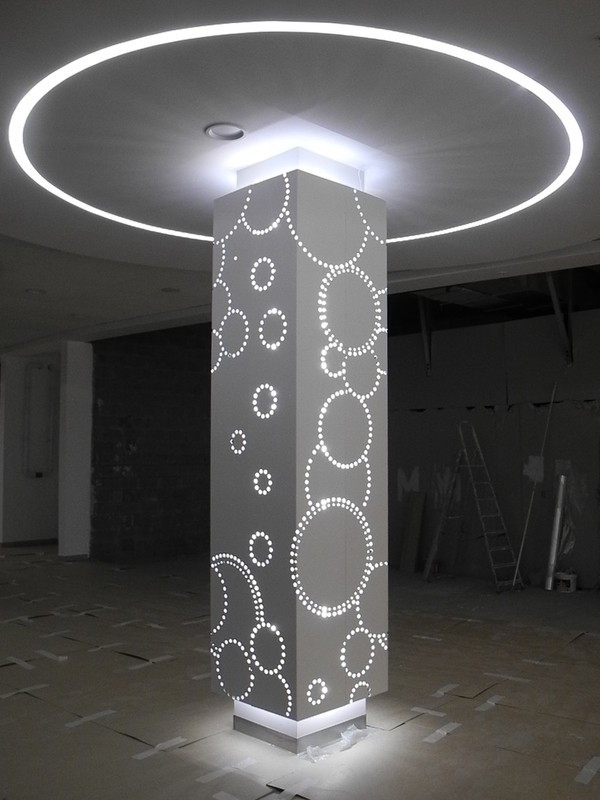 Yes, it's a repeated theme: we capitalized on that idea as well and used the circle as the main shape for the interiors. They change in shapes, sizes and colors with each floor. 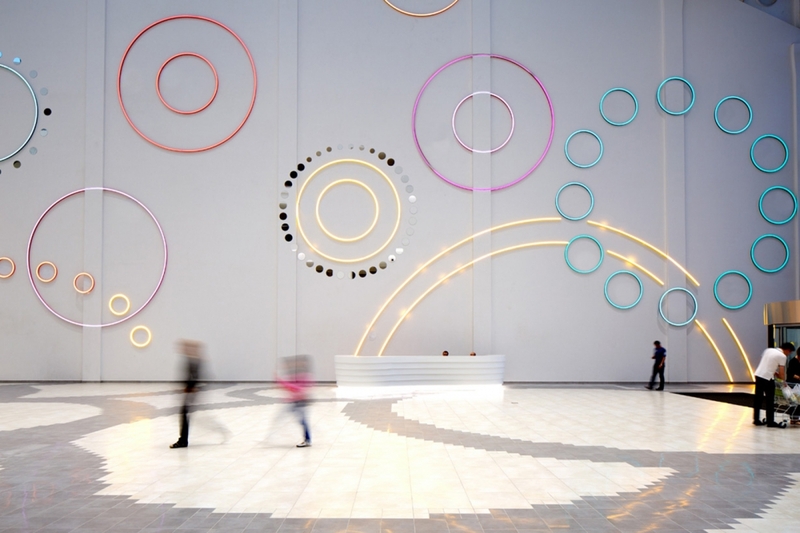 The main atrium is full of colors and circle elements. And a lot of glass additions. Yes. 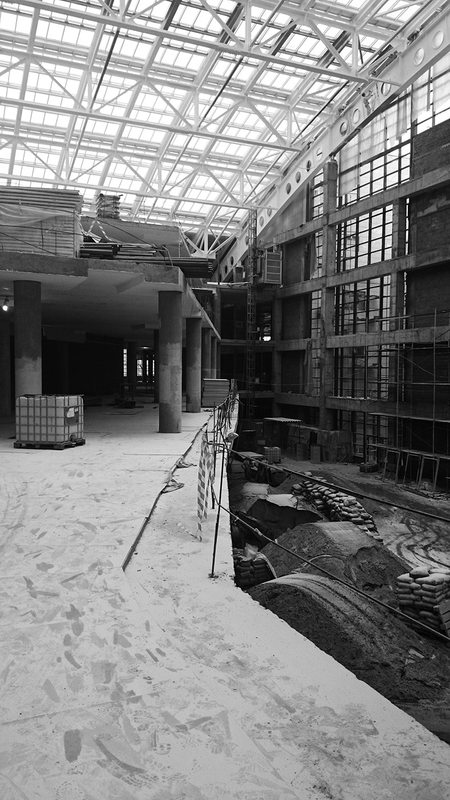 The side atriums have glass finishing from the balcony bottoms and to the pictograms on the glass walls. There are glass art pieces mixed in with lighting elements hanging in the center. 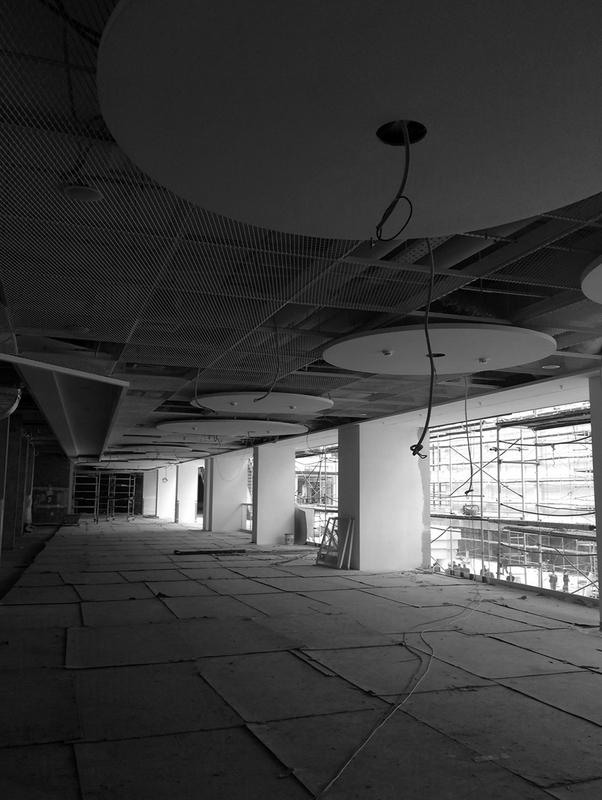 In the last atrium at the back side of the building, where we can see the river front, we have added a hanging, light fixture sculpture. We used light, bright colors in the mall and added colors as accents to the furniture, the details of the wall-hangings. And quite a mix of materials, which is something unusual in a shopping center. And quite a mix of materials, which is something unusual in a shopping centre. Yes definitely. There's a real mix of colors, and materials: tile, metal, wood, graphics, and furniture on the third floor in the food court area. 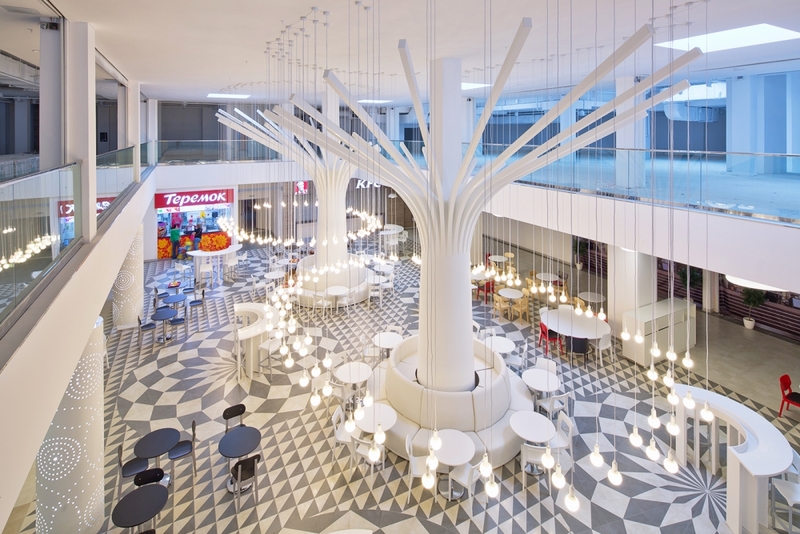 In the middle, we designed wooden 3D trees that branch out above different seating areas. 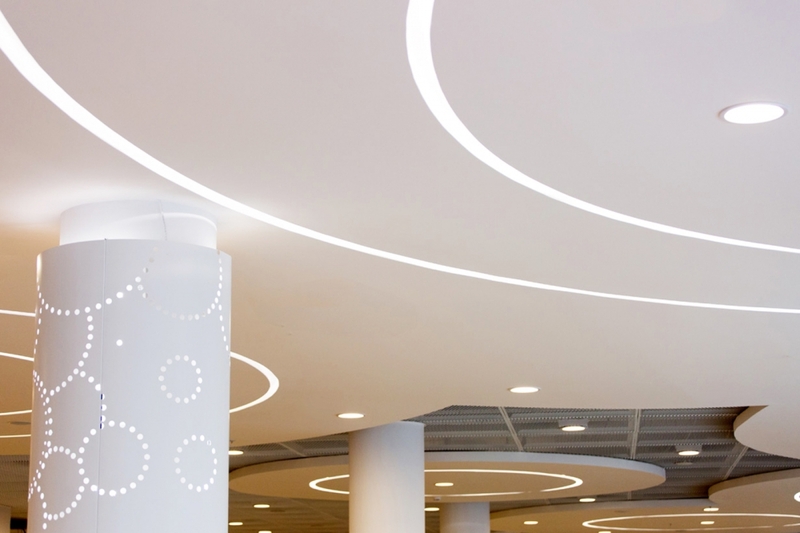 Lighting elements add brightness to the area where the skylights are missing. 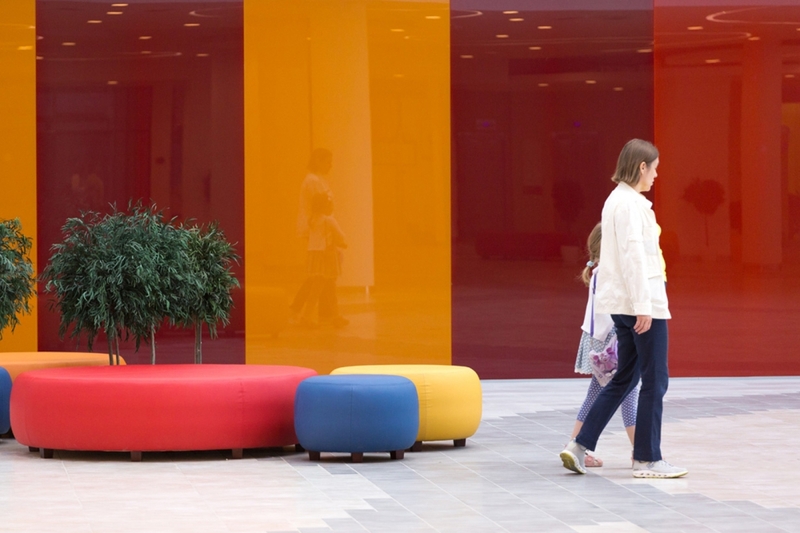 We placed simple but different-styled seating on a very colorfully designed floor. To make it cozier we added natural greenery. And a lot of natural light, I see. Absolutely. 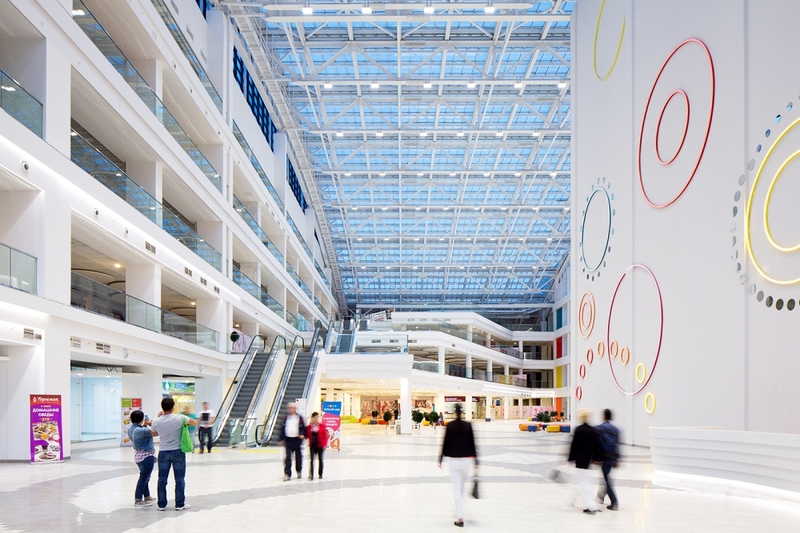 Thankfully the days of those "casino-like" shopping malls where you can't work out what time of day it is after you get inside are coming to an end in Russia, and clients themselves understand that spaces that are entirely artificially lit don't create a positive, welcoming atmosphere. 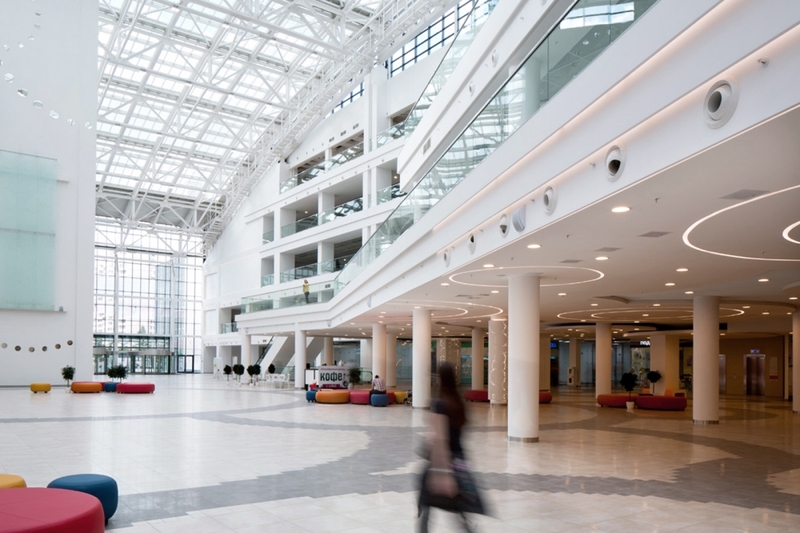 At the end of the day our clients for these types of projects are interested in offering a pleasant experience for visitors and guests — especially in a place like this that is not merely a shopping center, but a complex that contains office space, and areas for sport and entertainment. It's essentially a hub of activity, and as such, needs to engage and attract people who are likely to spend considerable time there. And that part of the job is something that we can assist with!